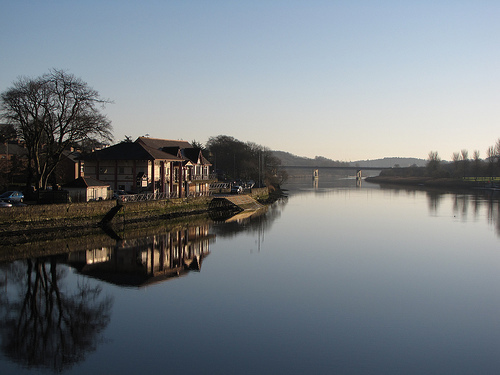 As the largest town on the beautiful Causeway Coast Coleraine has everything you could want from a typical Irish town. It is located alongside the River Bann and is known for its inherent charm and character as well as its award winning floral displays. Here you will find the old alongside the new working in harmony to offer incredible parks, shopping facilities and historic buildings all within easy reach of each other. Amongst its ancient treasures is Mountsandel which is believed to be the site of the very first man made settlement in Ireland, the site is situated on the east bank of the Bann River. This is a lively university town and offers much in the way of both leisure activities and world class shopping. The coast is only a short drive away as is the fantastic Giant’s Causeway that really needs to be seen to be believed. Translated from the Gaelic ‘Cuil-rathain’ the name means ‘Ferny nook,’ which sounds quite pretty as place names go. Only four miles from the coast the town is within easy reach of the seaside resorts at Portstewart and Portrush. With the incredible archaeological finding at Mountsandel it can be claimed that there has been a settlement here of some description for the past 9000 years, long before the iron and bronze age settlements that are usually found in the area. It is believed that it was Saint Patrick himself that gave the town its name; using the words he uttered when he described the land that he was given on which to build his church. While the church that is on the site today may date mostly from 1884 some of the older walls are much older and show traces of where heavy cannon balls impacted on the stone centuries ago. The architecture of the town reflects many periods of history, none more so that the town hall which has been rebuilt extensively over the years after being destroyed. There are a number of woodland walks, trails and cycle paths that will allow you to take in some of the wonderful riverside scenery, plus the sports facilities and public parks make it a great place for those who want to get involved in more than just walking; there are even a number of water sports that you can get involved in if you are up for it. During the summer the town hosts a number of outdoor concerts which sees people flocking into the town to enjoy the music and atmosphere. For those with an interest in history and the development of the town there is a heritage walking trail called ‘Round the Ramparts’ that will allow you to explore the history and heritage of the area. While you are here you will also get to experience some incredible Irish hospitality in the bars, cafes and just about every other shop, activity or attraction that you visit, enjoy it it’s an integral part of your visit here.